Here you will find lots of information about the old DDR Bloodlines, about the breeding within the former DDR and how the breeding was controlled and assessed in the past. In the first place we would like to present our kennel "Parchimer Land". Therefore I'd like to introduce myself of course. My name is Werner Schulz. 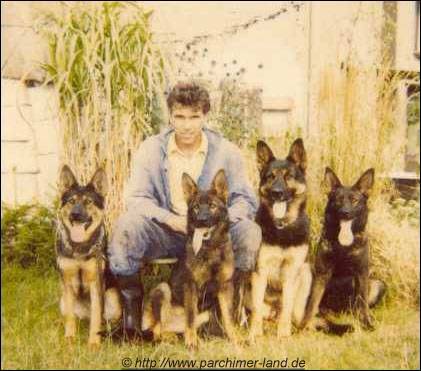 I have been interesting in German Shepherd Dogs for over 30 years now. Since 1979 I have been breeding with the kennel name "Parchimer Land". Over the years I could gain lots of experiences. Nevertheless I am not all knowing regarding the DDR Shepherd Dog Breeding and the DDR Bloodlines but I have seen nearly every famous dog out of these. Moreover I owned some of them and used them for my breeding program for example Neumann's Jim, Quenn Parchimer Land, Bodo vom Gräfental etc. Even today I try to keep these bloodlines alive and I am still loyal to the DDR Shepherd Dog. Highly probable that some visitors think I am insane or mad because of using the word DDR in connection with the German Shepherd Dog. Especially visitors that have never heard about DDR Bloodlines before. Due to that I would like to highlight that the expression "DDR" is not based on a political belief or opinion. 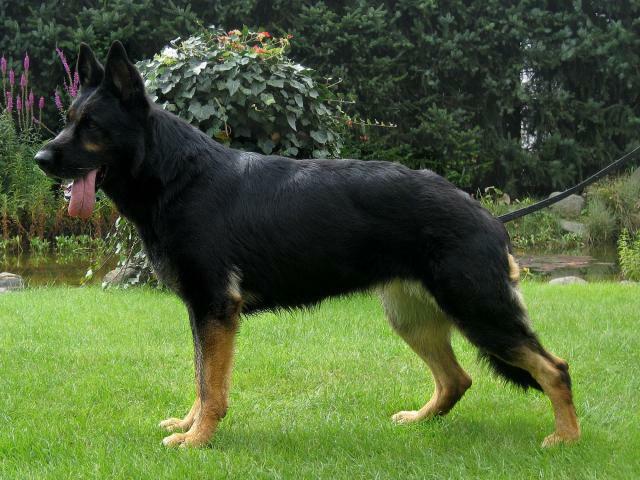 It deals with the understanding of the breed German Shepherd Dog and how the breeding was driven within the former DDR. Starting with selection criteria over working dog characteristics and ending with tastes of beauty. However, the development of the German Shepherd Dog during the last decades has absolutely been different. In West Germany (FRG) there are two main breeds. On the one hand you will find the Working Bloodlines and the Show Dog Bloodlines or Beauty Bloodlines. I would like to leave it open what beauty means for a sportsman, breeder or a single person. Apart from that people in East Germany (GDR) were interested in combining both together, beauty and working dog qualities. Shortly before the wall came down and later after the German reunification lots of DDR Shepherd Dogs were sold abroad and the unique breeding material was gone in large parts. Even today most people deeply regret their decisions and figured out that it was over hasted to sell the quality bloodlines. 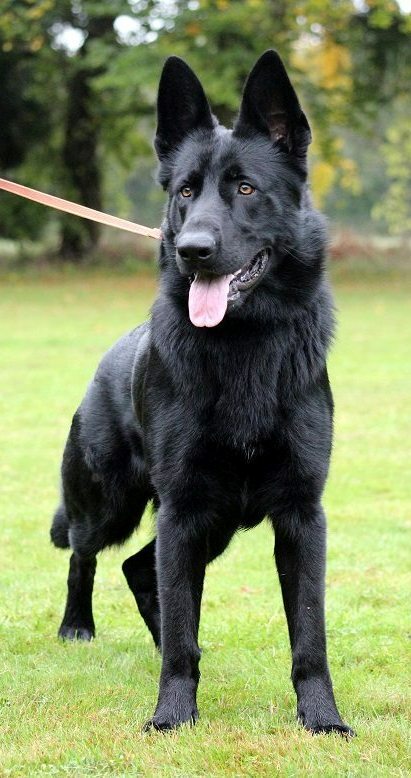 Looking at the latest development of the German Shepherd Dog within Germany it becomes more and more obvious that people in the former DDR understood how to select and how to keep a certain level of quality in terms of health, pigment and working dog characteristics. There are always discussions about 100% or pure DDR Bloodlines. At the end it is a decision that has to be made by yourselves. 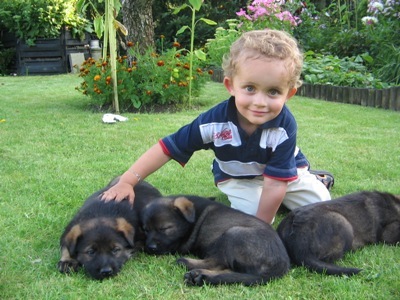 The argument that the origin of the German Shepherd Dog is just one dog can't be denied. Anyways I would advise especially newcomers to use the expression "DDR Bloodline" not pure or 100% DDR. All experts although some wouldn't admit have a clearer understanding and know the differences within the DDR Bloodlines. I have seen some litters recently claimed to be pure DDR but they aren't. As you can see the whole topic can't be discussed without leaving the surface. Who should be more interested will find some information in our German forum. There are also two to three English spoken forums on the internet. Finally I would like to point out that the breed is and was an unique breed. Hopefully we can keep it alive as long as possible so it will stay something very special. I guess the pictures tell their own tale and give you an impression what this type of shepherd dog is like. If you would like to purchase a DDR Shepherd Dog I recommend to look for litters from experienced breeders. Those breeders can tell you about the history and the pedigree knowing what you hold at your leash. Long story short lots of people won't do one and the same mistake twice. So they won't sell their quality breeding material again. Maybe you are lucky one day due to special circumstances there could be an offer but to shorten the waiting time I would like to give you the advise looking for a good puppy. Newcomers should purchase the books written by Werner Dalm. He was the breeding supervisor during DDR times. His books contain either basic knowledge or expert knowledge. Unfortunately they are only available in a German edition. Their titles and a way of purchasing them is described under "DDR Info Page". We are trying to publish as much information as possible. Nevertheless I have been self-employed for 30 years and have to look after my business as well. The job takes a lot of time and I often wish I could spend more time on my wonderful hobby. Well, I wish you a great time here on our sites, I am very thankful for every entry in our guestbook and I would like to welcome every new member in our forum! Werner Schulz and the "Parchimer Land Team"